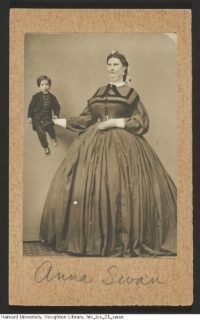 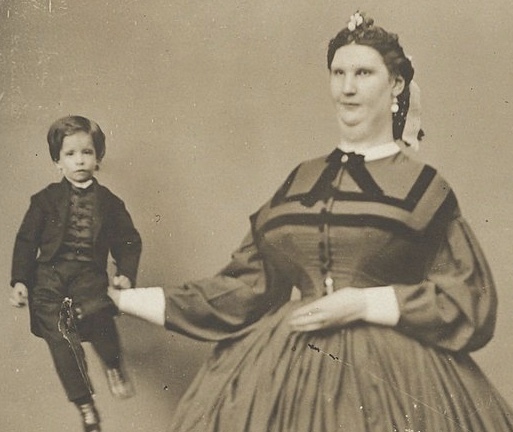 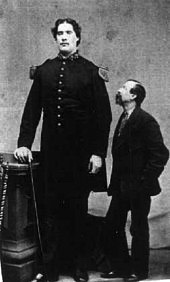 Anna Haining Swan stood 7 feet 11.5 inches and weighted 371 pounds when she married Civil War Captain Martin Van Buren Bates who stood 7 feet 11 inches and weighted 471 pounds. 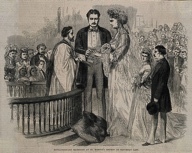 It took a 100 yards of satin to make her wedding dress, the material was a gift from the queen of England. 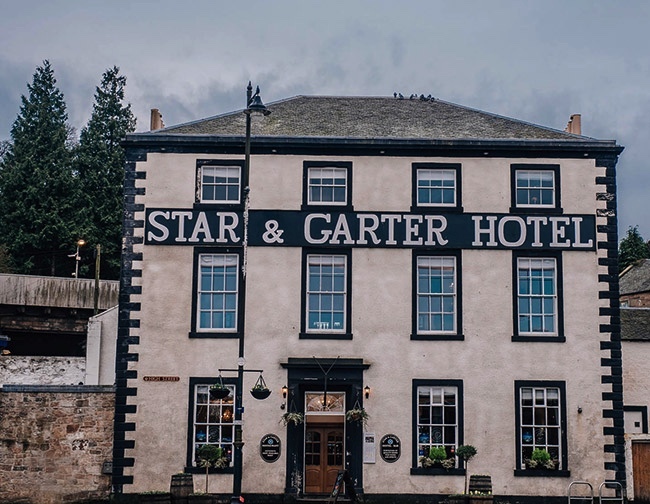 They spent their honeymoon at the hotel “Star and Garter” I do hope they were on the bottom floor!